The Finance Manager oversees the overall financial health of the company. He/She monitors and projects cash flow, set collection targets and directs the company’s budget to meet business needs and determine investment opportunities. He/She also provides timely and relevant financial reports to support planning and controlling activities, analyses financial information and recommends risk minimization and cost reduction strategies and monitors financial details including overseeing credit administration, and inventory monitoring and ensures the company’s compliance to legislative regulatory requirements. Ability to examine the organization’s financial state with the basics of financial analysis, key ratio analysis, investment analysis, capitalization, analysis software and procedures. Ability to allocate resources, plan procurement, and oversee budgets and implement contracts to ensure fiscal stability of the organization. Ability to facilitate and follow through the flow of work for a process or procedure or undertaking and ever ready to provide support when called for until completion. Ability to sustain close and profitable relationships while maintaining appropriate boundaries in business relationships. Ability to develop models or projections based on the study of past results, relationships, and data, and anticipating future trends/events. Ability to plan and implement measures that will avoid, overcome or compensate for elements of risk. Ability to lead, drive and achieve high levels of individual and organizational performance. Keep people focused on the achievement of challenging goals and the delivery of commitments in a timely and efficient manner. A graduate of S Accountancy preferably with post-graduate units. At least 3-5 years of supervisory or managerial experience. ALL FOOD ASIA, INC. is one of the leading distributors nationwide of imported temperature-controlled meat and meat products. 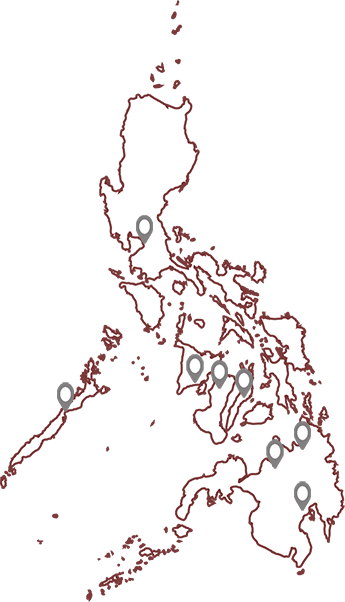 Our distribution hubs are strategically located in Luzon, NCR, Visayas and Mindanao, positioning us to serve the local market with high quality meat and meat products, at the right prices, on time. With more than 20 years experience in the industry and 8 locations nationwide. Committed to our Vision and Mission to deliver the best to our customers and stakeholders. ALFA is the best place to grow your career, and be part of the market leaders. We got you covered in Visayas and Mindanao. Averaging 35,000 kilos of meat served everyday. Where can we serve you?